R/C flying, music and recording. P/C sims. Licensed Aircraft Mechanic currently working on the B757-200, Airbus A300/A310 and have 10+ years Herk experience. Also worked on the B727, B737, CT-114, CT-133 and CF-104. 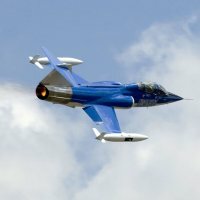 Where to get 1/32 scale drawings of F-104G Starfighter? Kinetic F-16s.... a call to Raymond.